So Standard Chartered did launder Iranian money. After huffing, puffing, denying, blaming jealous Americans, and even having the British government argue on their behalf, they were quick to pull a reverse ferret and cut a $340 million check to make their legal problems go away. It’s extraordinary, and rather dispiriting, how rarely banks fight for their innocence. (The ferret term comes from Fleet Street. Kelvin MacKenzie, a former editor of The Sun used to refer to pursuing a public figure as putting a ferret up their trouser leg. 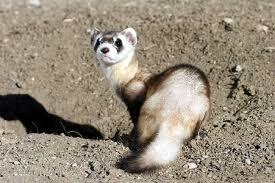 When the attack had to be recalled, he’d shout across the newsroom “reverse ferret!”).